I am so missing documenting life happenings and so am going to jump back in with Katie of The Healthy Diva Life !! She documents her weekends with photos and either hashtags, one sentences or whatever she feels. I love this concept and am going to do my best to link up with her. And if you aren't following sweet Katie...do yourself a favor and do it now! Last week we were lucky enough to have some of Mike's family here from Washington!!! My niece, Alli and her friend Josie helped me out at the shop! Due to choosing to spend time with family over working out, I did not get a workout in until Saturday but it was awesome and I did a quick treadmill workout, strength workout and meditated!! 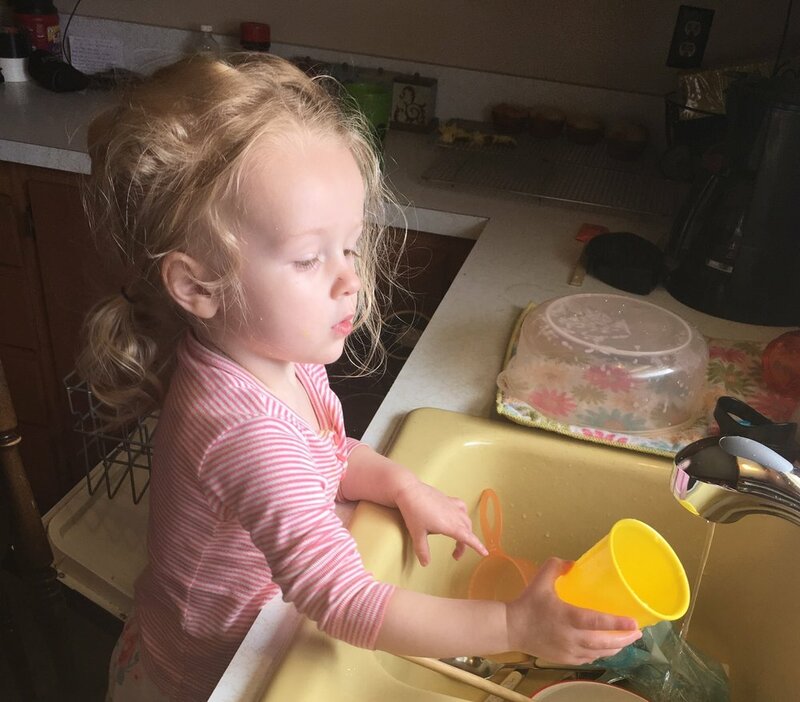 The hubs and I were thrilled to have our granddaughter, Little Miss Audra Kathren over for a sleepover and we had so much fun snuggling, building a fort, baking and washing dishes!! I also got to take Little Miss to our dear little friend Sophia's birthday party last night!!! And...I joined a weight loss support group last Sunday 4/2/17....I knew the first week was going to be hard but I wanted to at least get in a slight rhythm....but man I did not do well as I didn't adjust my eating to family dinners and fun.....so yesterday I attended another meeting...I so can not do this weight battle on my own anymore and have decided to reach out for help...I am at the second heaviest I have ever been and it's a battle my friends!!! And in KEEPING IT REAL for you I started out at 156 and gained 3.2 pounds this last week...holy crap....moving forward! This morning the hubs and I got to drop Little Miss off at daycare...and I was snapping a photo of the monthly calendar...and she snuggled in and said, "Cheese"...so of course Grma JoJo took advantage of the opportunity for this cute pic! Wishing you all a great week filled with making memories, being productive and feeling joy and happiness! !